Aiseesoft Video Converter Ultimate 9 is a fully loaded video converter which allows you to easily switch between media formats. 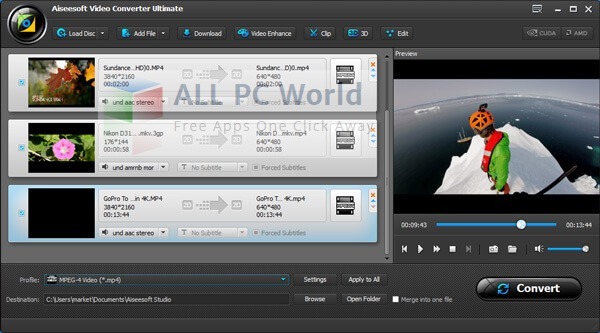 This free download is a standalone installer of Aiseesoft Video Converter Ultimate for Windows 32-bit and 64-bit. 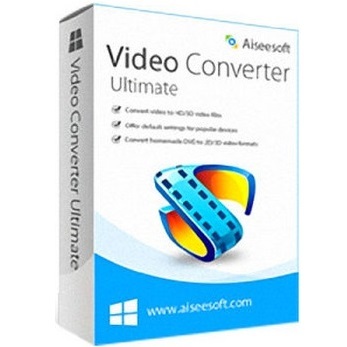 If you want to switch between different media formats then Aiseesoft Video Converter Ultimate 9 is a complete pack for converting from one format to another. It comes with friendly user interface, you can convert any media format easily and effectively without losing the quality of the video. It supports all the media formats including ultra-HD videos as well as 2D and 3D conversion. You can also convert homemade DVDs to various other formats. The conversion is faster and much easier, convert to any format with just a few clicks and the environment will guide you throughout the process. Load videos from the hard disk or directly from any CD/DVD for conversion. Moreover, you can also merge and split clips with the same efficiency as you convert from one format to other. You can also convert 2D videos to 3D videos. Apply various effects to the videos so that you can get exactly the same you want. Adjust brightness and the contrast of the videos. In addition, this powerful tool also allows you to add watermark for copyright purposes. A built-in media player is there to view the output so that you can make any changes before you get the output. Click the below link to download the standalone installer of Aiseesoft Video Converter Ultimate 9 for Windows x86 and x64 architecture. It is compatible with all the new and older releases of Windows. This powerful tool can convert any kind of video, with different adjustments.